Before I go into the tutorial, I want to disclose that this is definitely good for just one or two batches of cookies. 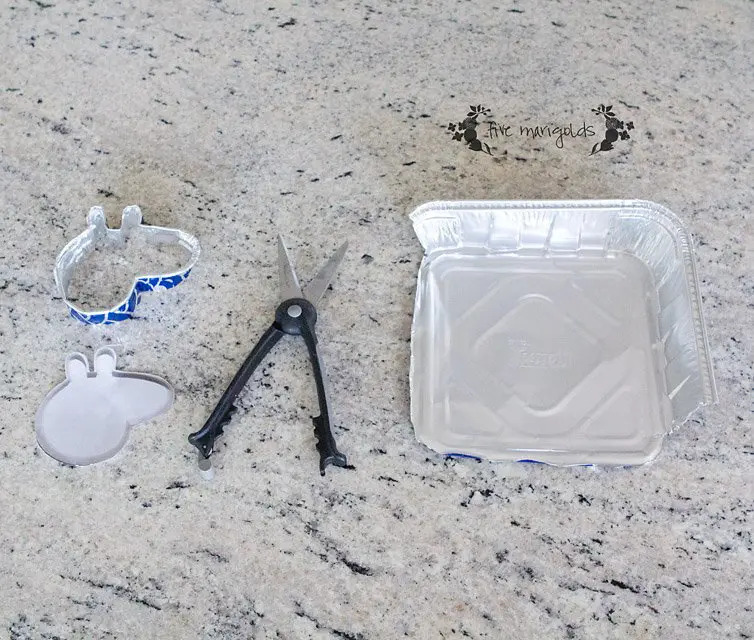 There are other great tutorials for making a cookie cutter that will last the ages, but most of them involve sharp metal that needs to be ground down, or involve the purchase of hardware that costs nearly as much as the cookie cutter I was looking to copy. I was going for cheap and easy, here. 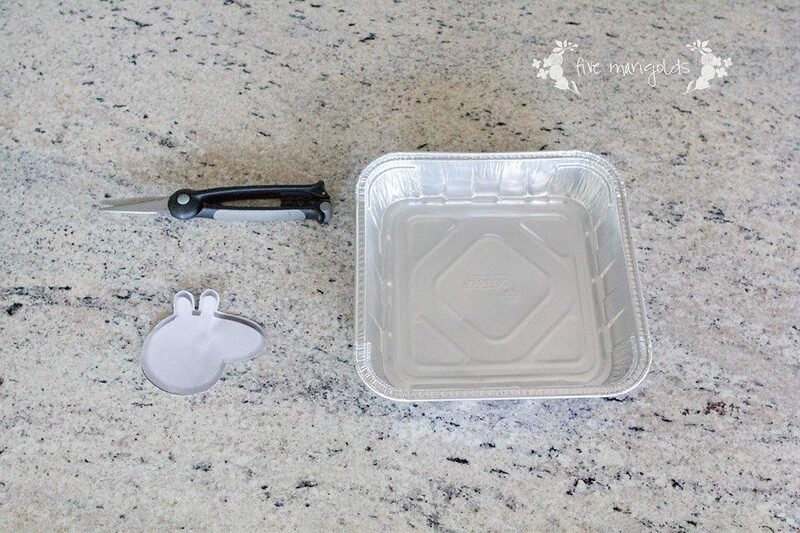 Purchase sturdy disposable pans – the Dollar Store variety won’t hold up to this project. 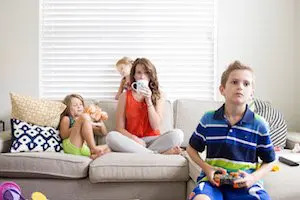 You’ll need to choose heavy duty disposable pans available at your local big box store – you can find them in sets of 2-3 for less than a couple dollars. Cut the sides off of the pan. These strips will be your cookie cutter. You will use the rounded top edge of the pan for the top of your cutter. It’s important to cut the bottoms evenly across the bottom, as this will be the part used to cut your cookies. If the bottom is crimped, smooth it out with the flat side of a butter knife or spatula. Be extra careful to cut the bottom as smooth as possible, to be sure small pieces of loose metal won’t get into your dough. This was easy enough for me to do with a pair of kitchen shears. Print a picture of the image you’re looking to replicate. 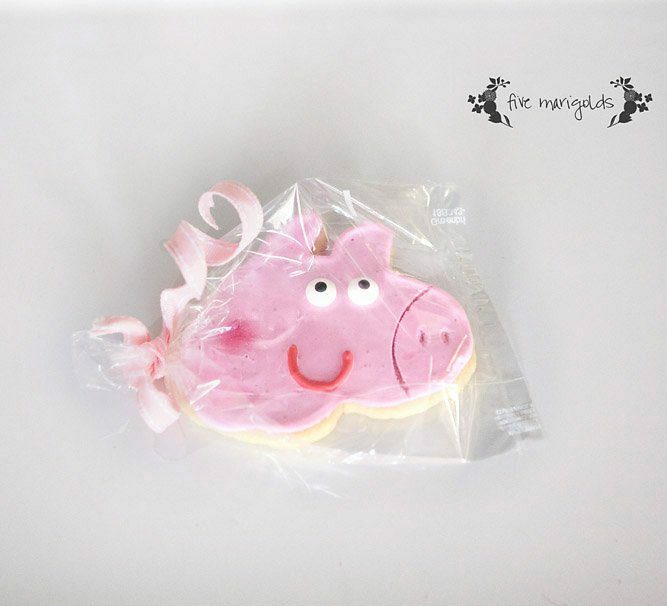 I found a photo of Peppa Pig online, enlarged it to the size I wanted my cutter to be, and printed it. 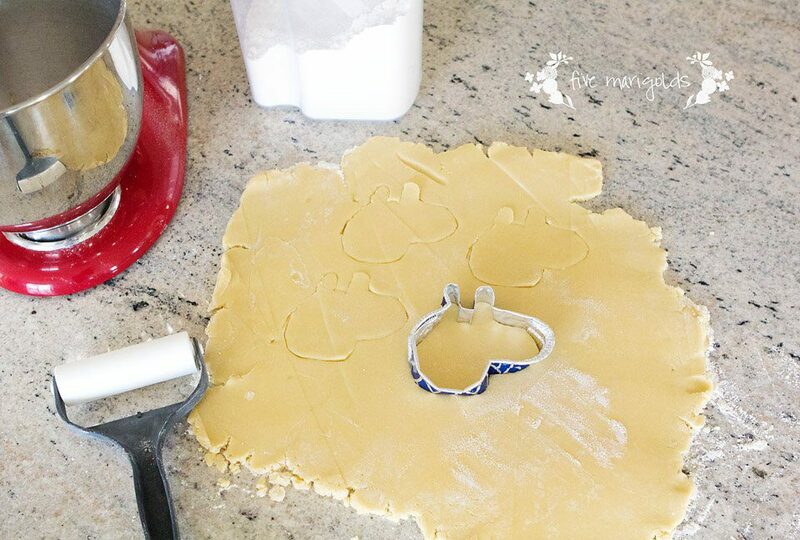 Begin shaping your cookie cutter along your template and secure in the middle of the seam with a staple. 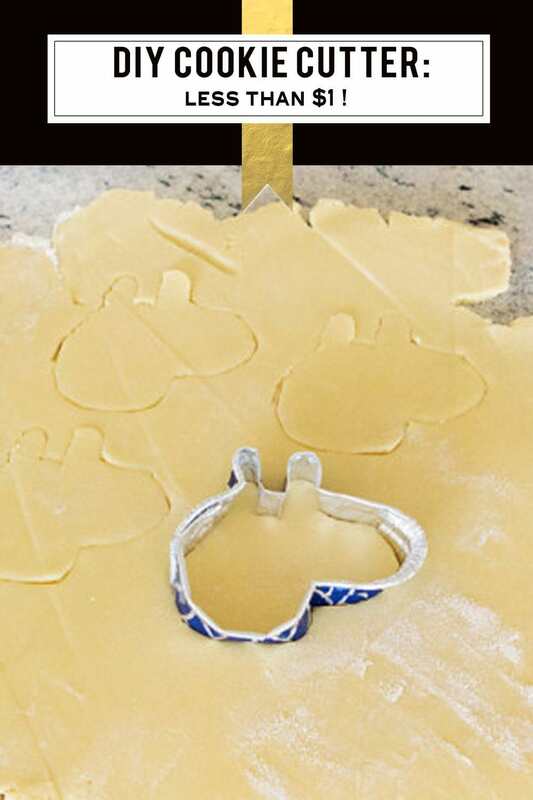 There you have it: a Peppa Pig cookie cutter! It may not look like much, but it gets the job done. You may find yourself reshaping the between every few cut outs. 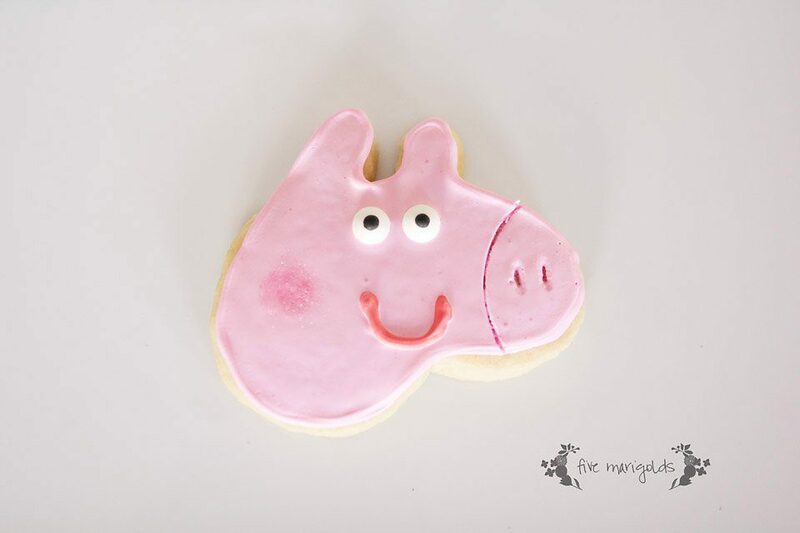 I used my favorite go-to sugar cookie and royal icing recipes, and finished them off with candy eyes and rosy cheeks. Okay…so some turned out better than others! This blog is for entertainment purposes, only. All projects performed following instructions from my blog are done at your own risk. Please read more here. This is so cute! I love it! 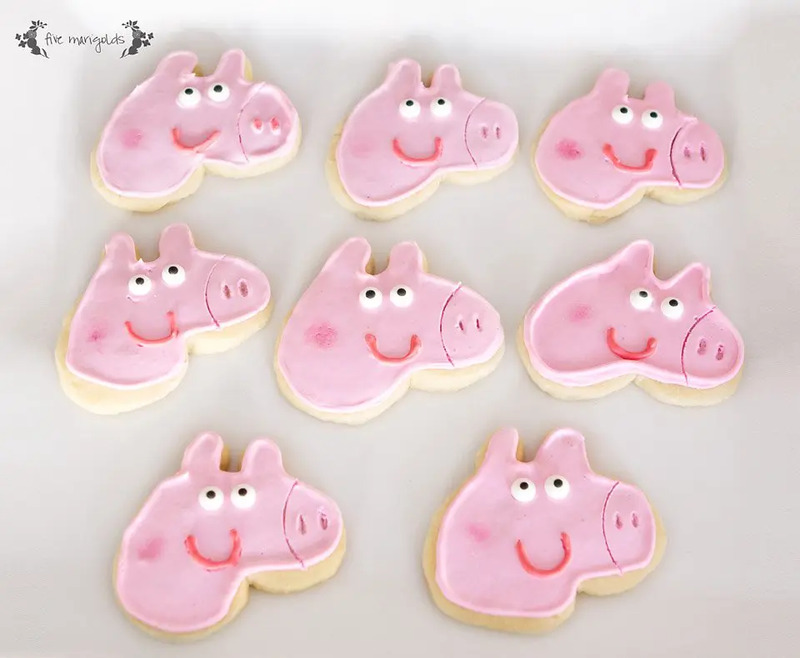 I have a little sister who loves Peppa Pig and I am quite fond of it myself! Thank You! Genius!! 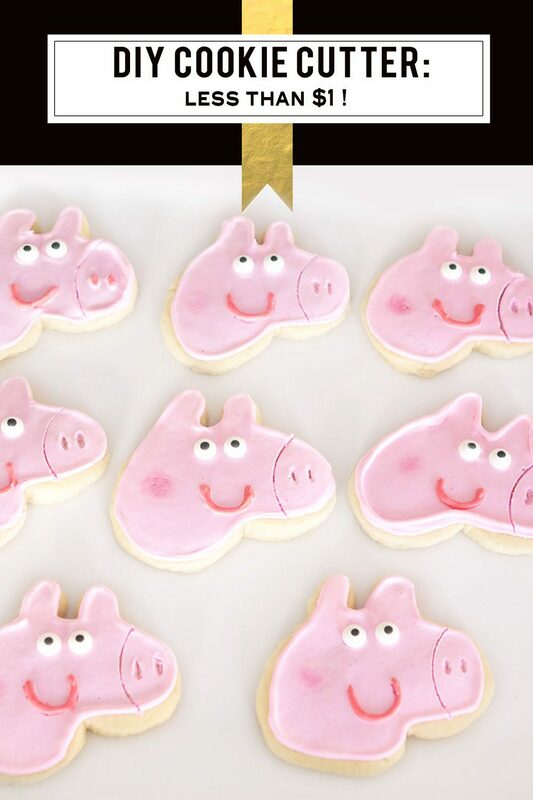 I have to make some Peppa Pig cookies next week and was wondering what to do about a cutter. I plan to make one now!! Thanks for the info!! Yay! I’m glad this idea is helping someone else.